It is common for someone to overhear, or listen to a conversation that was meant to be private. In some cases, this is referred to as eavesdropping, a crime that carries serious penalties in California. However, the difference between overhearing and eavesdropping involves the use of a device to help you hear or to record a private conversation. California PC 632.5 specifically deals with eavesdropping on a telephone call. California Penal Code Section 632.5 deals specifically with intercepting a call from a cell phone or cordless phone. If you “maliciously and without consent of all parties” intercept or receive communications transmitted between any cellular radio telephone and a landline telephone, you could be facing the same punishments and penalties as for eavesdropping. California Penal Code Section 632.6 makes intercepting or receiving communications between a cell phone or landline phone and a cordless phone a crime, carrying the same penalties as eavesdropping. You can also be charged with eavesdropping if you help someone eavesdrop or intercept phone communications and would face the same penalties and punishments as the person who actually committed eavesdropping. You are working late and overhear two colleagues talking about an affair they are having. You continue to listen (eavesdrop) and do not let them know you can hear them. This is in not illegal eavesdropping, as you did not intend to overhear the conversation, and you did not use any type of device to amplify the conversation or record it. You overhear to two colleagues discussing a drug deal. You turn on your mobile phone and video record the conversation. You do not plan on doing anything with the recording unless your two colleagues get caught, at which time you intend on turning the recording over to the police to use as evidence. In this case, not only is the conversation inadmissible as evidence, you could be charged with illegal eavesdropping because you recorded the conversation without the consent of your colleagues. You realize you can overhear your neighbor’s conversations on your police scanner radio. You do not record the conversations, but do listen in any time you can. In this scenario, you are not guilty of criminal eavesdropping because you did not intentionally manipulate the scanner to pick up the conversations, nor did you record them. You used an electronic device to amplify or record the conversation. Depending on the specific circumstances of the case as well as your criminal history, eavesdropping can be prosecuted as a misdemeanor or felony. This type of case is considered a “wobbler” and carries the following penalties. If you are charged with eavesdropping, your punishment may include jail time. Both jail and the fine. No Intent. You did not intend to overhear or record a private conversation. No device. You did not use a device to amplify or record a private conversation. Consent. You had consent from each of the parties involved in the private conversation. Protective order. You had a valid protective or restraining order and were recording a conversation involving the person who was violating that order as evidence of that violation. 1. Is eavesdropping a crime? Technically, just overhearing a private conversation is not a crime. However, if you purposefully listen in on a private communication with the aid of an electronic device, or if you record the private conversation on a device, then you can be charged with a crime. 2. If I help someone hear, intercept, or record a private communication, can I be convicted? 3. Can I be convicted of eavesdropping if my scanner radio picks up my neighbor’s phone conversations? One of the elements that the prosecution must prove to the court beyond a reasonable doubt is the act of intent. If you do not manipulate your scanner to purposefully intercept your neighbor’s phone conversations, then you could be found not guilty of eavesdropping. The same applies if nothing was actually recorded. 4. I recorded the conversation between two co-workers who were planning on doing something illegal at work, can I be convicted of a crime when I was only trying to help? California law says that intentionally listening to and recording a private conversation is a crime even if you were only trying to get evidence to help your boss. Thus, you can be charged with eavesdropping. 5. I have a restraining order against my ex-spouse, and I recorded their communications with me to prove they were violating the terms of the restraining order. Can I be convicted of eavesdropping? 6. I recorded a conversation about serious illegal activity. I plan on giving the recording to the police. Can I be charged with eavesdropping? You can be charged with eavesdropping if you recorded a conversation without the consent of the parties involved. The information in the illegal recording would not be able to be used as evidence against the persons conducting the illegal activity, in fact, it would only be used as evidence against you for eavesdropping. If you or someone you care about has been accused of eavesdropping, contact our experienced criminal defense attorneys at Wallin & Klarich today. 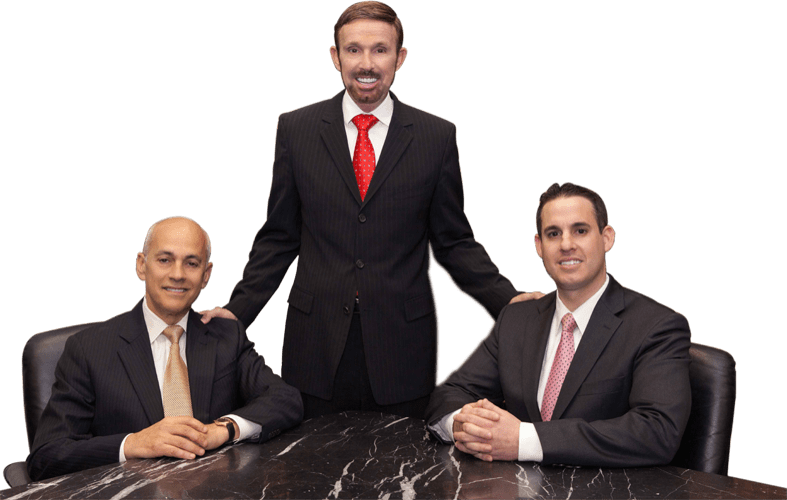 With over 30 years of experience, our attorneys at Wallin & Klarich have the skills and knowledge to successfully defend you against the serious charges of misdemeanor or felony eavesdropping. We are committed to providing you with the personal attention you deserve and expect to help you overcome this difficult situation. With offices in Los Angeles, Sherman Oaks, Torrance, Tustin, San Diego, Riverside, San Bernardino, Ventura, West Covina and Victorville, our attorneys at Wallin & Klarich here to provide you with the very best legal representation no matter where your case will be heard. We will utilize every available strategy to help you get the best result possible in your case.